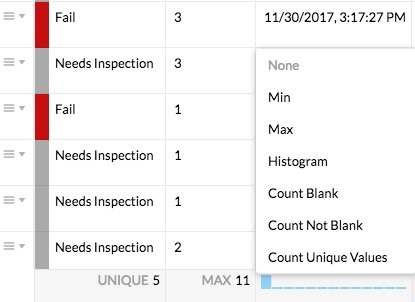 How can I see the data collected in the Fulcrum web app? Accessing the record editor on the Fulcrum web app. There are two ways to access the web app's record editor where you can view, create and edit data in your apps. Either through the homepage or the app's dashboard page. The easiest way to access the data within an app is through the homepage. On the homepage, to the right of every app name there is a group of three or four buttons. The button on the left side of these group of buttons is the records button. Clicking this button will take you to the record editor on the web app. Another way to access the data in your apps is through the app's dashboard page. From the homepage, click the name of the app to access that app's dashboard page. On the app's dashboard page, there is a view data button along the left-hand side of the screen. You can also click on the records icon to the left of the record count. 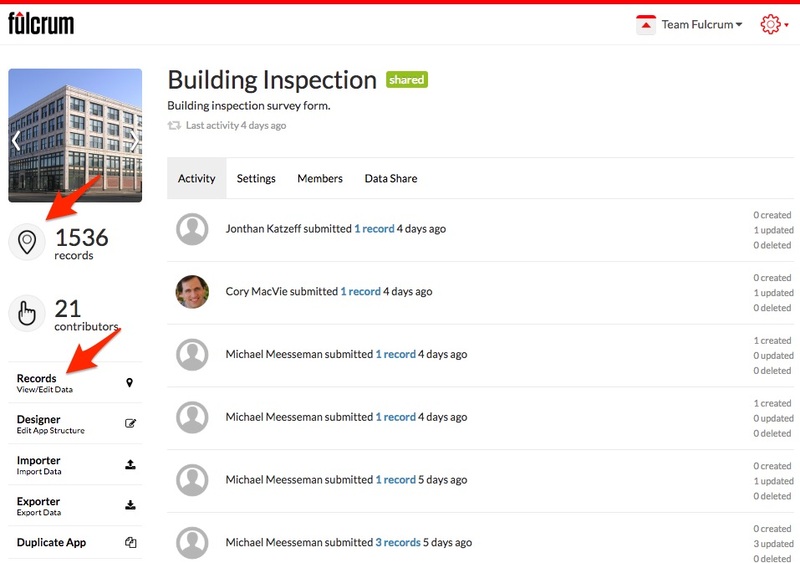 The Fulcrum record editor is where you can view the data collected within an app, create new records and also edit exiting records. 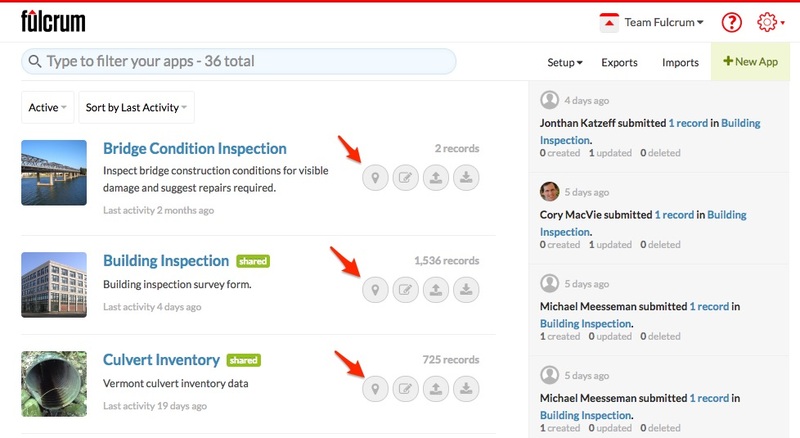 Additionally, there are filtering and sorting options and the ability to download your collected data. Along the top of the record editor Fulcrum logo that takes you to the homepage, the app selector, view options and the create record button. The app selector button will allow you to change between the apps that you are viewing the data for. 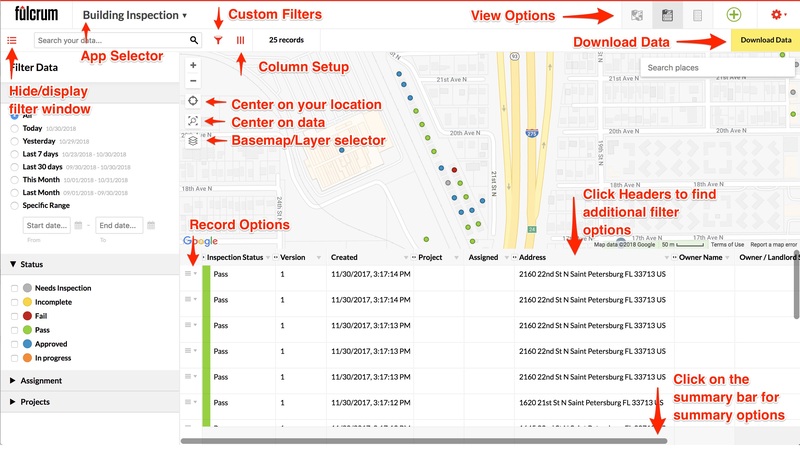 The view options allow you to view the data in a map view, a table view, or a split/hybrid view. There are quite a few ways that you can sort and filter you data within the web app's record editor. Just below the Fulcrum logo is a button to hide/display the filter window. Within this window you will find many common filter options, like filtering your data based on the record updated timestamp, the status of the record, who the record is assigned to, or what project the record is tagged with. To the right of the filter button is a global search box that can be use to filter records that contain a specific string, this includes any child records that are captured within a repeatable section. Next is a custom filter builder that allows you to build out custom filters for your data. Clicking on the header of a column in the data table will reveal additional filtering/sorting options. 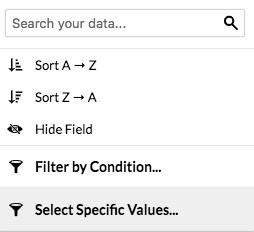 Some of the options vary based on the field type, but some options that are common in all field types are sorting, filtering by condition, selecting a specific value, and a text search box. 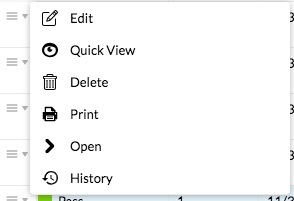 The first column in the table view is record's options. Clicking this will reveal a drop down menu where you can edit the record, view the record in either a quick view or open the record in a new browser tab. Delete the record, print a PDF report of a record. Lastly, you can view the history of a record. The last row on the table view is a summary row, clicking this will reveal various options based on the field type. Along the upper-left part of the map, there are your standard zoom in and out buttons, below these are the center on your location button, the center on data (zooms to the data extent), and the basemap/layer button (where you can change the basemap or layer being used).